Join a medical internship in Kenya for teenagers this summer, and gain practical experience by learning directly from doctors and nurses. This kind of experience will add value to your CV, and could be beneficial for your future career. You'll work in a clinic or hospital. Doctors will teach you about diseases and conditions you've only read or heard about. You'll also do health checks during outreaches in disadvantaged areas. This will give you an insight into the healthcare challenges people face everyday. You will live with a friendly host family in the small town of Nanyuki. You’ll work in a group with other teenagers your age, and learn and explore together. Projects Abroad staff will be with you every step of the way to support and guide you. When you’re not working, we’ve organised fun activities and a weekend trip for you to enjoy. Is a medical internship in Kenya for teenagers right for me? A medical internship in Kenya for high school students is perfect for any teenager interested in getting medical experience. It will add value to your CV if you’re pursuing a medical career, and give you interesting points to talk about in interviews and essays. 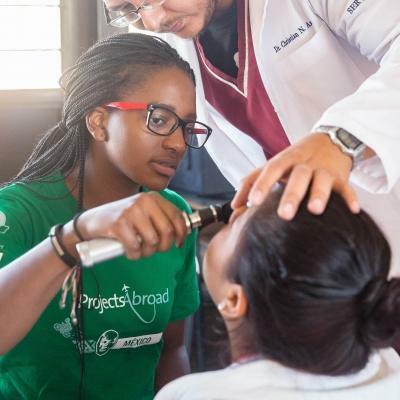 You’ll also do hands-on work during medical outreaches in disadvantaged communities. We’ll teach you the basic medical skills you’ll need to do this. 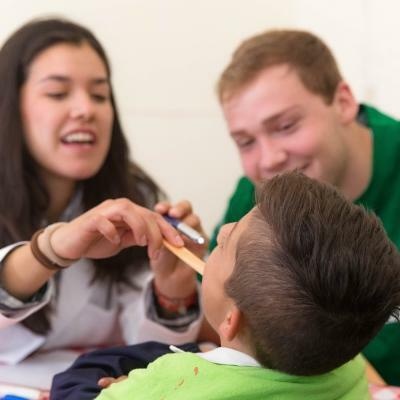 Working at these outreaches will help demonstrate your dedication to medicine and helping others. 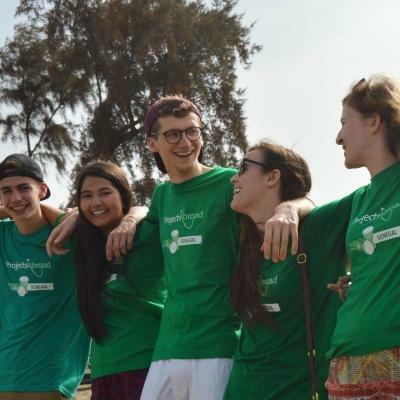 This internship is also a good fit for you if you want to make friends with teenagers from around the world, and travel to Africa with support and guidance every day. Our High School Special runs over fixed dates in the summer. You pick the dates that fit your schedule. All activities will take place in groups, follow a set itinerary and happen under supervision. This ensures your safety and maximum enjoyment at all times. 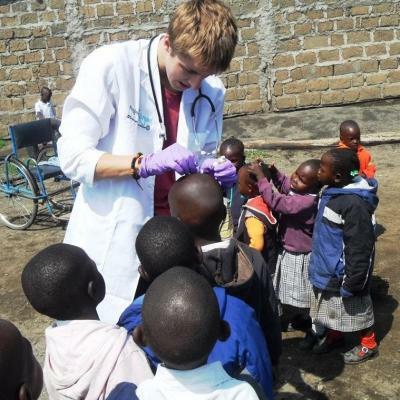 What will I do on a Medical internship in Kenya for high school students? There is much to be learnt from observing medical professionals as they work. Keep your pen and notebook close as you shadow medical staff around the clinic or hospital. You’ll see how the staff engage with patients, and which instruments they use when examining patients. You’ll also see the state of medical facilities in a developing country, and observe illnesses or diseases you don’t see in your home country. Doctors will teach you how to diagnose and treat these illnesses. We encourage you to ask questions, and learn as much as you can. Part of our medical internship for high school students in Kenya includes giving you a chance to gain practical experience. To ensure that disadvantaged communities receive basic healthcare services, we organise medical outreaches. You will help healthcare professionals here. You’ll check people’s temperature, assist with weight checks, take blood pressure readings, and more. All work is supervised, and we have medical professionals on hand to assist with any questions. You will have more than one opportunity to take part in workshops aimed at expanding your medical knowledge. Workshops will cover topics like HIV/AIDS, tropical diseases, and more. You’ll also get training on how to take part in medical outreaches. 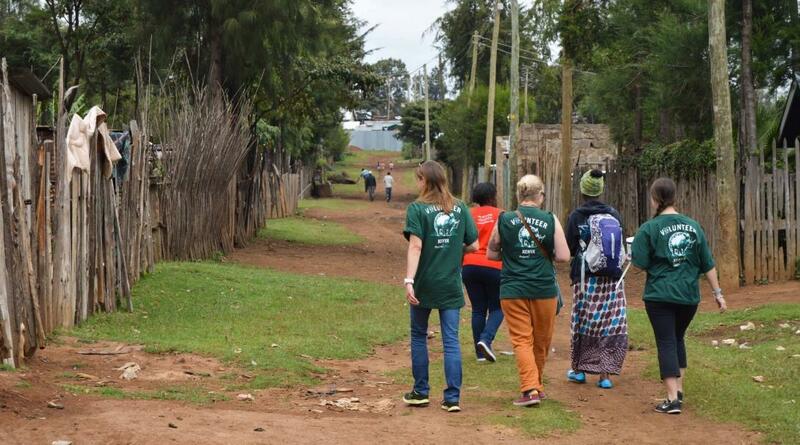 On a medical internship in Kenya for high school students, you will live and work in Nanyuki. 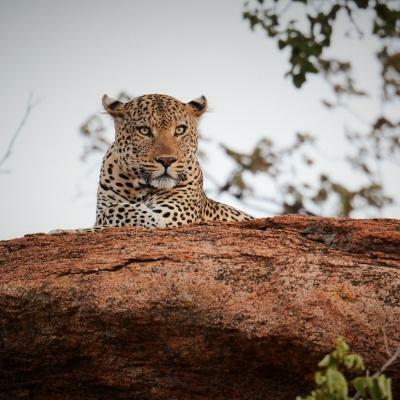 Nanyuki is a small and safe town, sitting at the foothills of Mount Kenya. The weather is pleasant, not too hot, and not too cold. 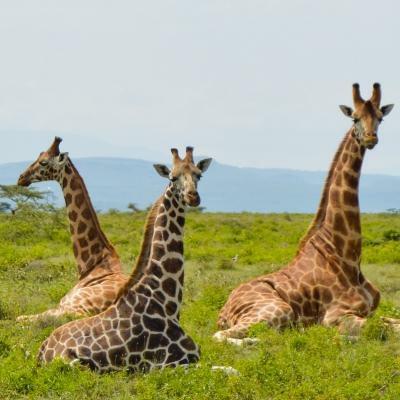 Kenya’s capital city, Nairobi, is around a 3.5 hours drive away from Nanyuki. Most of your medical internship work will take place in a health clinic or hospital, and you’ll go into disadvantaged communities to do outreach work. The medical facilities won’t be as advanced as they are in your home country, and doctors work with fewer resources. All of your practical work is supervised. A Projects Abroad Coordinator will be with you throughout your project work as well. The aim of this medical internship in Kenya for teenagers is to give you medical experience to prepare you for pursuing a career in medicine. The experience will add value to your CV, and give you an insight into the healthcare challenges people face in developing countries. Kenya is listed as being one of the more disadvantaged countries in the world, and access to quality and low cost medical care can be challenging. We’re working to change this by going into underprivileged communities to provide the healthcare services they need. You’ll become part of these efforts by working on outreaches. In 2017, high school medical interns in Kenya assisted 714 low-income earners in Kenya with receiving free medical care. 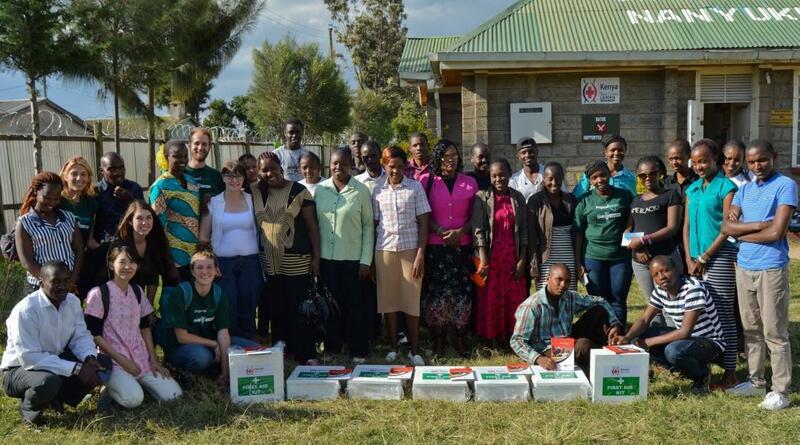 Our interns did door-to-door nutrition assessments, and gave educational talks in Kenya. They also did door-to-door deworming and awareness campaigns. Join this internship for high school students and become part of our efforts to achieve these goals, while building your medical knowledge. If you get the opportunity to go on one of these trips, seize it, as it will open your eyes to a whole world full of experiences that you just can’t see from the comfort of your home.